Who invented Instagram? The Instagram social network was invented by Kevin Systrom and Mike Krieger. When was Instagram invented? Instagram was launched in October 2010 as a free, photo-sharing mobile app, during the Technology and Information period of invention. The invention of Instagram originated in America and its name derives from the words "instant" and "telegram" conveying both speed and importance. Definition of Instagram: Instagram is defined as a free social network and online photo sharing platform that allows members users to upload, edit and share photographs with other members. Fact 1: Who invented Instagram? The Instagram was invented by Kevin Systrom and Mike Krieger in October 2010 during the Technology and Information era of inventions. Fact 2: Who invented Instagram? Prior to the invention and launch of Instagram in October 2010, snapshots taken on mobile phones looked mediocre, it was difficult to share photos and it was slow to upload pictures. Fact 3: Who invented Instagram? The invention of Instagram was only possible due inventions and innovations such as the Cell Phone in 1973, the World Wide Web in 1991 and the development of Smartphone in 1992 which allowed access the Internet and the ability to take photographs. Fact 4: Who invented Instagram? The Smartphone took a massive leap in 2007 when Steve Jobs, the co-founder of Apple Computers, launched the Iphone shortly followed by the mobile app that was introduced in 2009. Fact 5: Who invented Instagram? Kevin Systrom and Mike Krieger saw the 'gap in the market' for a cool, free, photo-sharing mobile app and social network that resulted in the creation of Instagram. Fact 6: Who invented Instagram? Kevin Systrom was born on December 30, 1983 and raised his family in Holliston, Massachusetts. His father, Douglas Systrom, Vice President in Human Resources at TJX Companies and his mother Diane Pels Systrom, a marketing executive. Fact 7: Who invented Instagram? Mike Krieger was born on March 4, 1986 and raised his family in in Sao Paulo, Brazil. Mike moved to the United States in 2004 to continue his education at Stanford University where he studied symbolic systems the academic program that included courses in computer science, philosophy, linguistics and psychology. Fact 8: Who invented Instagram? Kevin Systrom was also educated at Stanford University where he studied engineering and management science, a program aimed at operations research, making efficient use of new technologies and resources. Fact 8: Who invented Instagram? Kevin Systrom met Mike Krieger, two years his junior, at the elite Stanford University Mayfield Fellows Program (MFP) that focussed on the management of technology startup ventures. Fact 8: Who invented Instagram? Kevin Systrom and Mike Krieger were both ambitious and shared an interest in writing code to create websites, computer games and developing Mobile Apps, a relatively new technology designed to be downloaded to a mobile phone. The two guys both shared a passion for photography and were fascinated by the emerging the world of social media. Fact 9: Who invented Instagram? After graduating at Stanford Kevin Systrom interned at Odeo, (Twitter), and worked in the companies like Google, Microsoft and NextStop. Fact 10: Who invented Instagram? When Mike Krieger graduated he interned with the Microsoft PowerPoint team and at Fox Marks as a software developer. Fact 11: Who invented Instagram? Kevin Systrom began developing his own photo sharing app that he called Brbn, an acronym for his favorite drink Bourbon that coincidently was also the acronym for the telephone switch in Burbank, California. Fact 12: Who invented Instagram? Kevin Systrom took his chances and decided to leave NextStop to start a company of his own. His friend, Mike Krieger, decided to join him and the pair began working on the Brbn project together designing a location based web based, social media type app that allowed users to earn credits for posting photos. Fact 13: Who invented Instagram? The entrepreneurs realized that the initial concept for the Brbn app was too complex with too many features and decided to concentrate on developing an app that only focussed on photographs taken from cell phones. Fact 14: Who invented Instagram? Their simpler App took just 8 weeks to develop, they included some cool photo editing filters and 'like', 'follow' and 'comment' options. They renamed their App to Instagram which they launched on July 6, 2010. Fact 15: Who invented Instagram? Their timing for launching Instagram coincided with the release of the Apple iPhone 4, which featured a high-quality built-in camera. Fact 16: Who invented Instagram? The Instagram App had Holga-inspired lenses or filters that allowed users to distort their images in an unusual and highly amusing way. Fact 17: Who invented Instagram? They publicised their new App via Press releases, Blogs and Social Media and within 24 hours of its launch Instagram became an overnight success with 25,000 people signing up for an account. Fact 18: Who invented Instagram? Simple photos taken from a Smartphone suddenly became unique, funny and interesting and people wanted to share them with their friends. Fact 19: Who invented Instagram? Within nine months, Instagram had 7 million users. 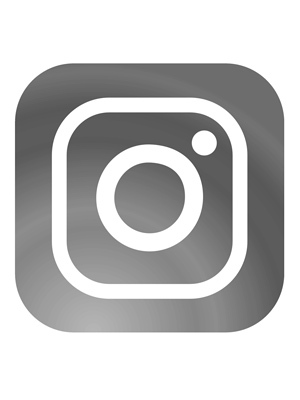 In December 2011, Apple Inc. named Instagram the "App of the Year". Fact 20: Who invented Instagram? In April 2012 Facebook announced it was buying Instagram in a billion-dollar deal with $300 million in cash and 23 million shares of stock. Fact 21: Who invented Instagram? On November 21, 2016, Instagram launched live video sharing, allowing users to broadcast live for up to one hour. As of 2017 Instagram has grown from its 7 million users in its first year to a projected 700 million users.